Schedule Honda brake service at our Honda service center near Selma, CA. Our factory-trained technicians can inspect your Honda vehicle's brake pads, rotors and calipers to ensure all brake components are operating properly. Your brakes are the most important safety system on your car, and it's crucial that they're running at their best every time you get behind the wheel. 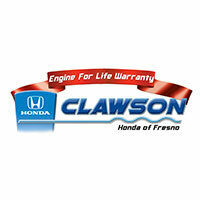 Don't leave anything to chance – schedule brake service at the Clawson Honda of Fresno service center. We can perform a Honda brake inspection to check the brake fluid, brake lines and hoses and brake assembly. We're familiar with the intricacies of the brake system and can help keep your brakes operating safely with preventative maintenance. You may be wondering how often you should get your brakes inspected. Annual inspections can catch normal wear and tear before it becomes a larger issue, but how often your car needs brake service depends on your driving style. Someone who drives through the city every day will need their brake pads replaced more often than someone who primarily drives on the highway. Schedule Honda brake service at our Honda dealership and drive confidently knowing that the brakes in your vehicle are operating reliably. We'll take care of all your Honda service needs!